Living in the Texas Hill Country means enjoying the great outdoors! It’s a fact that today, the backyard is an extension of your home — it can even be an extension of yourself. We understand that more and more people are looking to their own homes and backyards as an escape from a hectic world; to have their own creatively designed, customized, and accessible retreat. We know that many people want to step right outside their home to have fun rather than being forced to travel far and wide. Others simply want a beautiful oasis they can see from the kitchen window day in and day out as life goes by. Ultimately, your pool will become the centerpiece of an outdoor living space that can be complete with cooking stations, comfortable furniture and even dining room tables. WestView Pools creates unique designs that vary in look and feel. 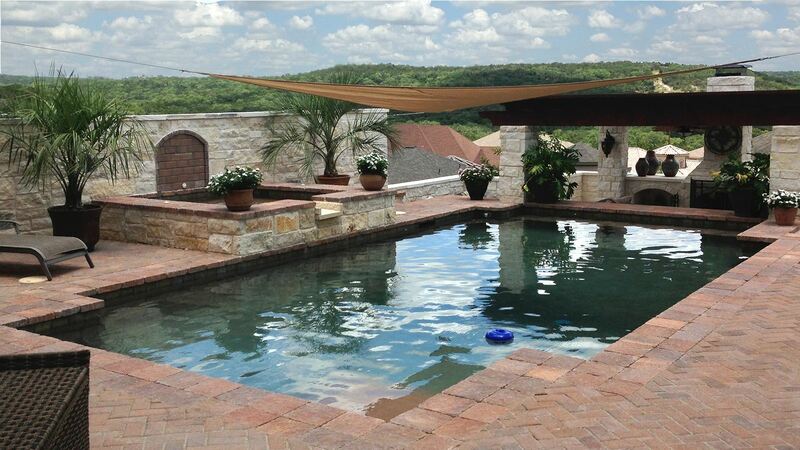 Whether you envision a Natural Texas Hill Country Pool or a more classic rectangular or Grecian design, WestView Pools can deliver the utmost quality and service. We only use the highest quality materials, and our pools are always engineered with reliability and durability top of mind. No matter the look you aspire to achieve for your property, a pool from WestView Pools can add the touch of fun, relaxation or splendor you’ve always dreamed about. As a preferred Texas pool builder, with WestView Pools you are choosing a company that prioritizes customer needs above all else. A company that believes gaining and maintaining the customer’s trust and happiness throughout any project. From initial pool design – including decking, BBQs and more – through the final touches and landscaping, WestView Pools aims to be not just your contractor, but also your partner in creating your perfect backyard. Whether you have a large or small space, a unique view to enhance or a specific desired outcome, WestView Pools and our team of award-winning designers can develop a plan that will work for you and your family.